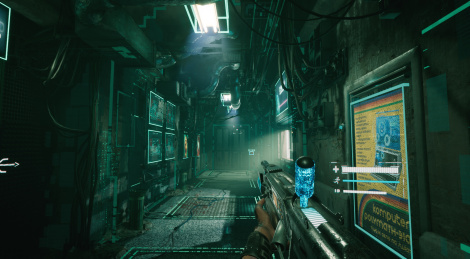 Hacking on the fly and cybperpunk shooting are to be expected in 2084, the first-person shooter from Feardemic who just hit Steam Early Access. Players control researcher Laura Lofi who face hordes of enemies while on a post-apocalyptic mission. The developer promises regular updates until the game's full launch planned for 2020. Feardemic, the indie publisher and production house founded by Bloober Team, the creatos of Layers of Fear and >observer_ have revealed the development of 2084, a cyberpunk shooter that started during a 72-hour internal game jam. 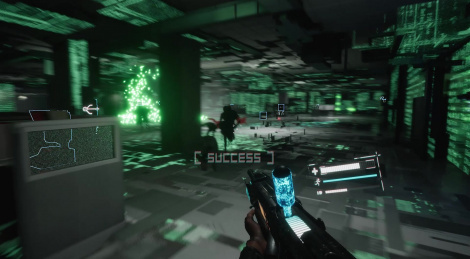 The first-person shooter features hacking mechanics and two game modes: Story and Endless. It will launch on Steam Early Access on December 13 while the full release is planned for 2020.